programs and marketing campaigns in one place. Engaging with customers in a digital world means delivering relevant and timely messages to the one device they are never without...their mobile phone. 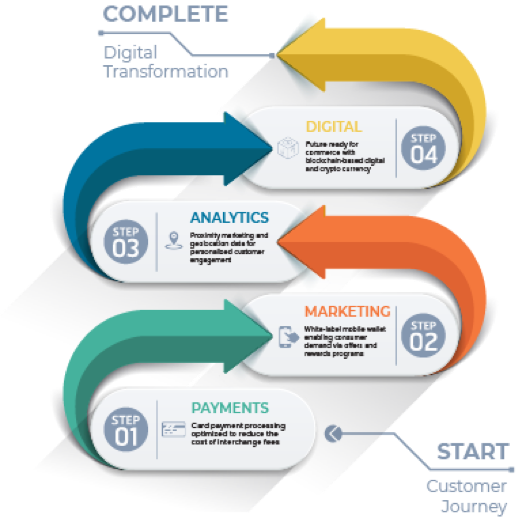 Fintiv makes marketing and customer engagement easy with a single platform that allows you to create, schedule, target and track campaigns. 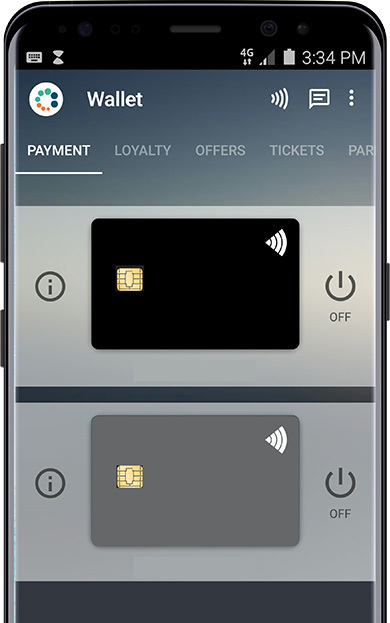 The Fintiv mobile wallet platform is a single integration point that allows you to offer mobile payments, loyalty programs, offers and ads all from one place. Fintiv gives you one place to create, customize and manage any number of loyalty or rewards programs. 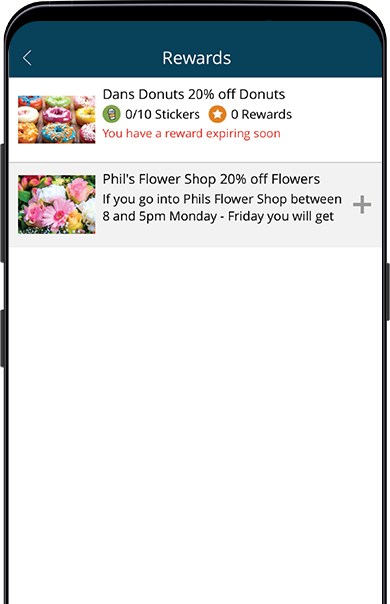 Reward customers for any behavior and have them redeem and track loyalty rewards directly from the mobile app. From points to stamps to SVA, Fintiv gives you the power to automate your loyalty programs and rewards. Fintiv uses a highly sophisticated algorithm to assess your previous transactions, ensuring that each individual transaction is properly rated based on all parameters - including risk. Most transactions aren’t as risky as your payment processor assigns, and with less risk we can offer lower processing fees. need to grow as technology changes. Fintiv understands the unique regulatory and security needs of the financial industry. We’ve been working closely with financial institutions around the world for over 10 years. 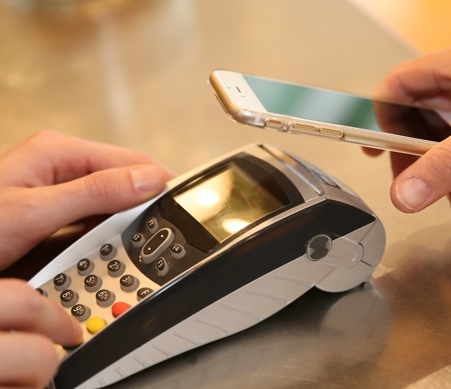 Whether you’re a bank, a credit union or a payment processor, Fintiv’s secure platform can enhance your mobile capabilities, giving your customers access to more services directly from their mobile phone. QSRs face a unique set of challenges in an ever changing market. Not only is there competition for share of stomach, there’s increasing competition to keep up with technology. It’s not just about good food for a good price anymore, relevancy and convenience are a top priority for customers. 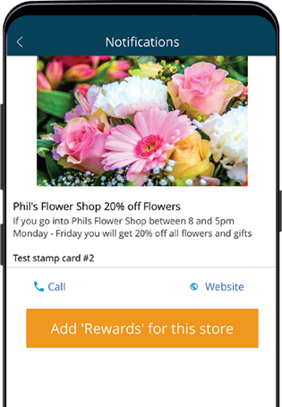 With Fintiv’s platform, you’re mobile app can be more than just coupons. Fintiv allows you to send customized offers based on previous purchase history, customer preferences or location. Let customers pay with their mobile phone at check out using credit, debit or gift cards stored in their mobile wallet, and send rewards immediately after purchase to drive repeat business. The Fintiv platform creates an entirely digital ecosystem for colleges and universities that allows everything to be done through a mobile app. Incentivize behaviors with offers and ads, then reward those behaviors with points or perks. Pay using a mobile phone anywhere on campus, and even at surrounding businesses. vendors, it’s all right there. We only use your email address to contact you with the information you requested about Fintiv.